Choose a flu shot vendor with a voucher option. When choosing your flu shot provider for your annual on-site flu shot clinic, be sure to select a vendor that provides a voucher option for remote employees. A flu shot voucher allows remote employees to conveniently receive their flu shot from a variety of pharmacies, no matter their location. Vouchers can be distributed to employees via a secure voucher website, email, or sent to site contacts for distribution. Our voucher program allows employers to only pay for the number of vouchers that are actually redeemed (above the minimum order) and choose their own program dates. We recommend running your voucher program from September 1st – December 31st for optimal flu protection. For more info on our flu shot voucher program, click here! P.S. These vouchers can also be used for any employees who might be out of town during your on-site flu shot clinic or for those who can’t make it to the event for other reasons. Even if you have a flu shot voucher option for remote employees, it doesn’t mean they’ll actually use them! This is why effective flu communication is so important. Be sure to include your remote employees in any and all flu conversations you have with on-site employees. Consider crafting personalized emails to send remote employees that detail why getting vaccinated is so important – even if you don’t work on-site. Many companies provide employees with some type of incentive for receiving their annual flu shot – whether it be a free lunch, an afternoon treat, or a jeans day. The problem with these types of incentives is that they work well for on-site employees, but not for remote employees. Brainstorm some ideas for incentives that will work for remote employees as well. Consider sending remote employees gift cards, movie passes, or providing a free half-day of PTO when they redeem their flu shot voucher. Incentives are an excellent way to get employees motivated to receive their flu shots! Include remote employees in your wellness program. 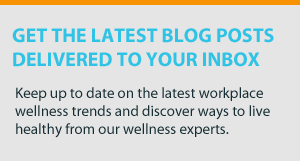 When it comes to any wellness initiative – including corporate flu shots – it’s essential that remote employees are included in the workplace wellness program. Without participating in their company’s wellness program, it’s difficult for employees to stay in the loop. Be sure to include employees in wellness challenges and activities, and create some options that better fit the health needs of your remote workers. This might mean thinking of some wellness activities that can be done independently, or that don’t require a designated time and place. With remote employees becoming much more common today, it’s essential for employers to adopt new methods to ensure these employees stay healthy and protected from the flu. Don’t forget about your remote employees this flu season! Does your company offer its remote workers flu shot vouchers? Let us know in the comment section below!